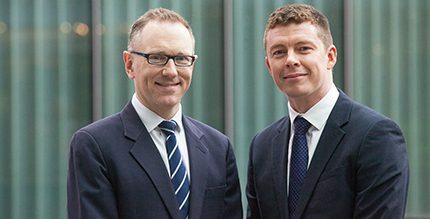 Martin Cook, UK marketing manager and finance director, Eoin Dilworth are now jointly managing Mabanaft’s UK operation. The move follows Raphael Hüttmann’s promotion to joint head, along with Volker Ebeling, of the Mabanaft Group in Hamburg. With Raphael having been Mabanaft Limited’s acting managing director for the past five years, now is a good time for these changes to take place. With three strong years of trading, and a consistently solid P&L, Raphael has achieved his stated goal of refocusing Mabanaft Limited and achieving increased profitability through improved efficiencies in the supply chain. Martin and Eoin have worked closely with Raphael throughout. More recently, during a transitional period, they have also been fulfilling management responsibilities, so the whole process will be seamless. Martin has been with Mabanaft for nine years, four of these as marketing manager. He has an in-depth understanding of the fuel industry, a clear and focused approach to business and excellent management skills, and is looking forward to the opportunities that this new role brings. Mabanaft’s sales, supply and operations teams will report to Martin. “Replacing my role has been remarkably straightforward,” said Raphael. “Mabanaft always looks to retain skill and re-deploy staff within the group, so appointing Martin and Eoin as joint managing directors made perfect sense.